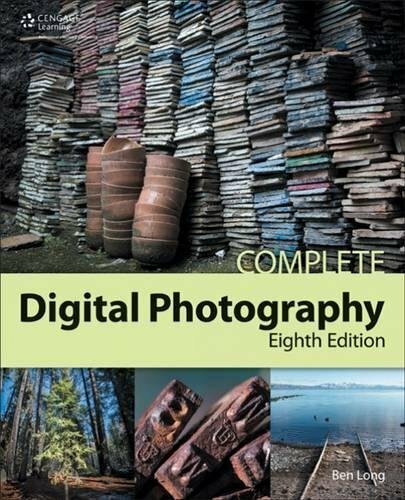 In this thoroughly updated eighth edition of COMPLETE DIGITAL PHOTOGRAPHY, popular photographer, writer, and teacher Ben Long is your guide through the creative and challenging world of digital photography. In this book is everything you'll need to know in order to create great digital photos, from how a camera works and how to choose the right camera for you, to all the details of shooting, image editing, output, and workflow. The step-by-step tutorials included here offer great tips and techniques on improving your processes from start to finish. you'll learn about exposure theory, composition, lighting, complex masking, image adjustment, and much more. No prior experience is needed or assumed, and by the end of the book you'll be tackling complex photographic challenges with your own growing expertise. And the results will astound you.